Ten years ago, my writing and conference talks were filled with predictions that conversation would be the Next Big Thing. Citing evidence from multiple disciplines, I called for organizational leaders to recognize that the desire for connection is a basic human trait and make in-person interaction a deliberate priority. Instead of trying to master blogs, podcasts, email and other tech-centric communication channels, I urged them to get out and talk to people. But Next Big Thing would not be face-to-face communication. 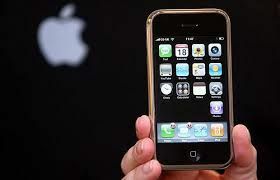 In 2007, along came the iPhone. 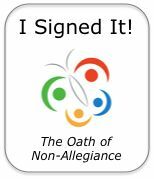 Mobility became the NBT. And our world changed. Today, our mobile devices keep us “connected” and “talking” to people around the world 24/7. Yet, is it a true connection? 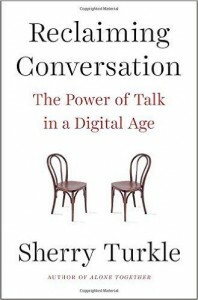 In her 2015 book, Reclaiming Conversation: The Power of Talk in a Digital Age (Penguin Press, New York), sociologist/psychologist and MIT prof Sherry Turkle suggests our “always on” connections, such as facebook, Instagram, Twitter and thousands of other apps, provide the illusion of communication, but actually impede conversation. We can avoid real conversation by sending a text. We can post a picture rather than engage with someone. We can edit ourselves into a carefully constructed persona that presents someone we are not and will never be. We can post messages to facebook “friends” while ignoring the real friends in the room with us. We can get attention without the unpredictable untidiness of getting close. Turkle has spent 30 years investigating our society’s relationship with technology. In this book, her ninth, she descibes offices where workers lay out their multiple devices, don headphones and spend the day exchanging electronic messages in isolation. She describes the “rule of three” – as long as three people in a face-to-face group are actually talking to each other everyone else can be looking at their phones. She quotes people who conduct family discussions by text so they can “fight without saying things [they’ll] regret” – and have a record of who said what. She describes toddlers competing with mobiles for their parents’ attention, new moms texting while nursing newborns, and children who talk about what’s on their phones rather than what’s in their heads. What worries her most is her belief that we are losing the ability to hold real, meaningful conversations. Turkle’s work made me examine my own relationship with online communication tools. 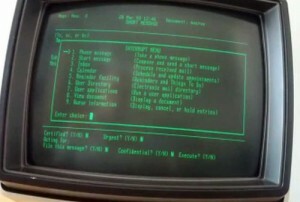 I’ve used them since pre-Internet days, when I sent email-ish things on the green screens of mainframe terminals. 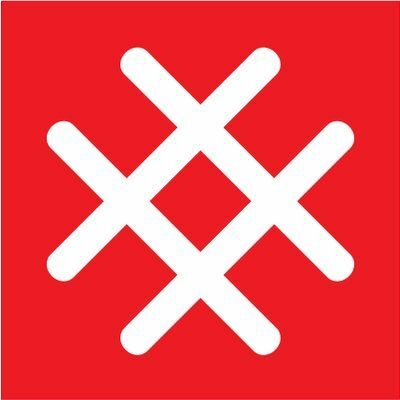 Today, I used tools in “The Cloud,” wherever that is, that we could scarcely imagine 10 years ago – Slack, Twitter, Trello, Ruzuku, Zoom and more. (I’m still waiting for “Beam me up, Scotty.”) They’re handy, yet today’s most valuable and rewarding connections were in cafés, face-to-face with colleagues and clients. I could look them in the eye, feel their energy, sense their presence, offer my full attention and really be with the people I chose to be with. Text is fine for transmitting information, but it’s not the tool for real communication. A recent text exchange led friends to a weird misunderstanding. Words intended as heartfelt encouragement came off as preachy. The carefully crafted response was interpreted as a snotty retort. Nuance, subtlety, emotion, energy – all missing. Words are not enough. How often have we spent hours crafting careful responses to emails when we should have just picked up the telephone and sorted it out through conversation? We can ask ourselves if our relationship with technology is helping us live better, more fulfilling lives or getting in the way of important moments and real connection. Our insights about the way we use our tools will guide us. The art – make that the gift – of conversation is too important to lose.